Cooking Delights: Chocolate Chip Cookies: Healthy and Vegan! 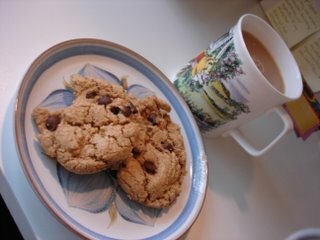 Yesterday when I had my hair cut, my friend, and hair stylist, Karen made cookies for us to enjoy. They were delicious...of course, loaded with sugar, chocolate, butter and eggs. 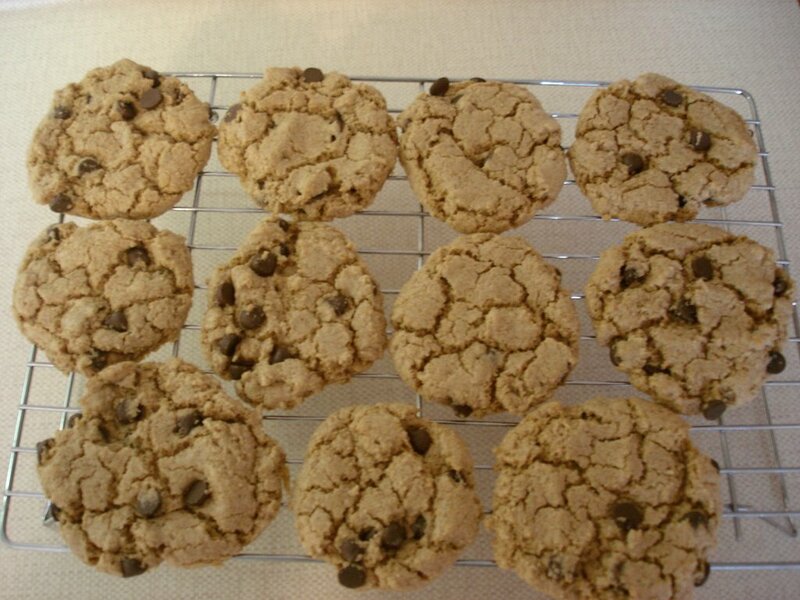 She inspired me to try a chocolate chip recipe from Vive le Vegan this morning. 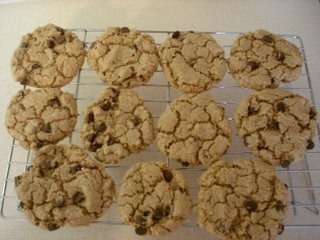 I made chocolate chip cookies from Dreena's book with carob chips, maple syrup, molasses and spelt flour. I love spelt flour. They were chewy and delicious and didn't taste like second prize by any stretch of the imagination. I found you by way of Dreena's blog. Your cookies look delicious! Actually, all your food pictures look delicious. Keep 'em coming! i love these cookies too! Wow! Comments on my blog! Thanks carrie and michelle!